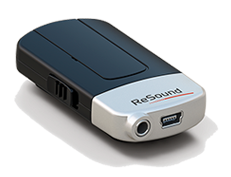 ReSound LiNX™, allows you to connect through your iPhone®, iPad®, and iPod touch® and enjoy high quality sound through hearing aids that are also wireless stereo headphones. All without a neck-worn device. 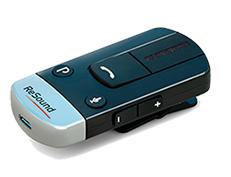 The easy-to-use ReSound Unite™ wireless hearing aid accessories deliver clear and secure audio directly to ReSound Verso™ — ReSound’s family of premium hearing aids — or any other ReSound wireless hearing instrument. And they do it discreetly, without devices to wear around your neck. This is thanks to 2.4 GHz wireless technology, a robust and reliable standard, which gives you strong, clear and stable connections. 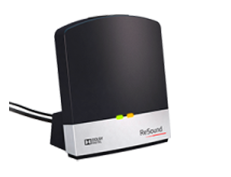 Choose a ReSound Unite hearing aid accessory below to learn more. 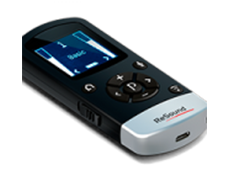 The new ReSound Unite™ Phone Clip+ gives you more freedom, comfort and control when on the phone. Going into a business meeting? Switch into the program to best hear voices in noise. 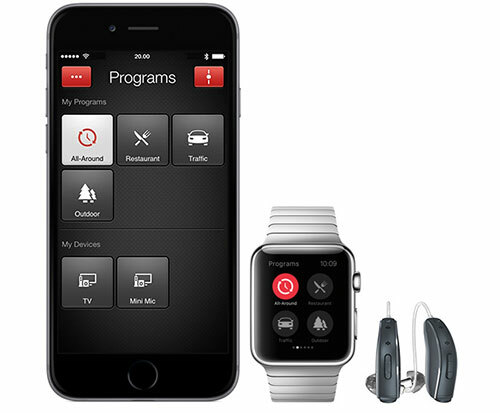 You can turn up the volume to your hearing aids independently of the volume everyone else hears.